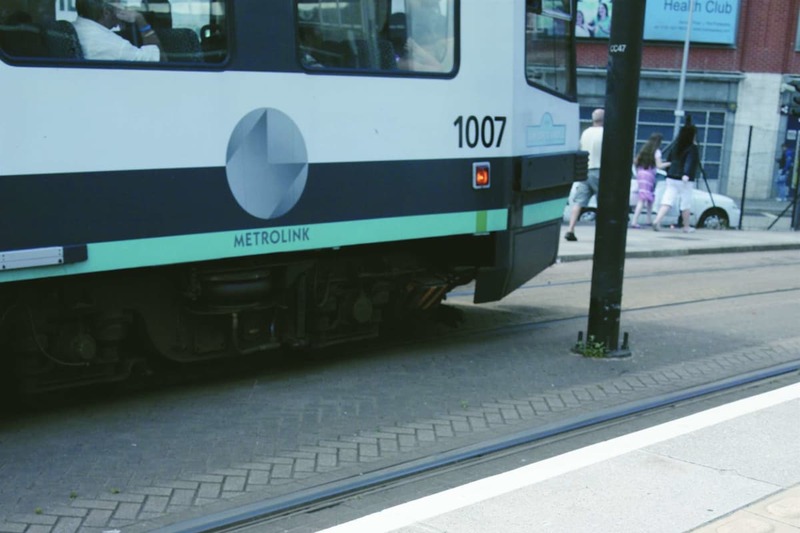 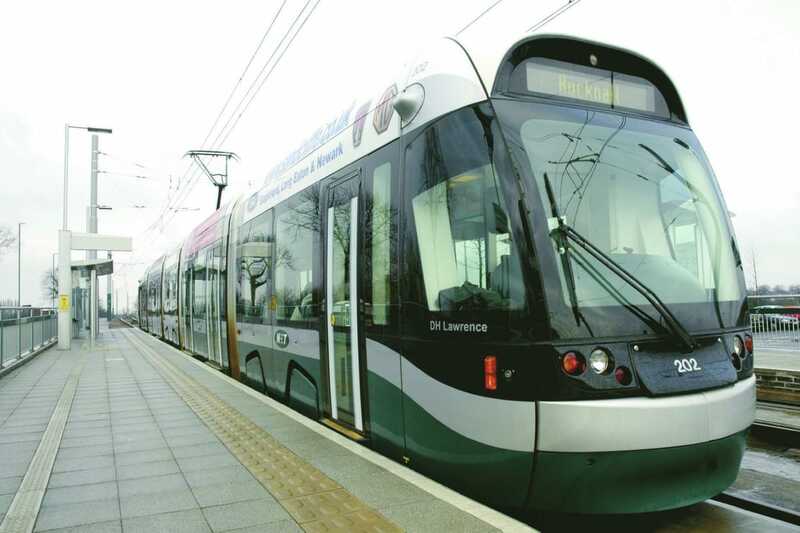 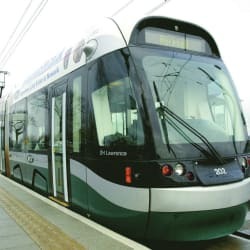 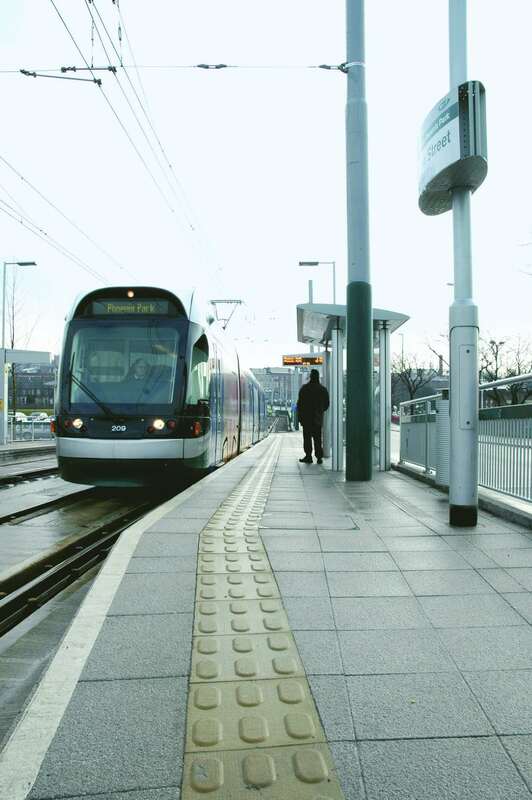 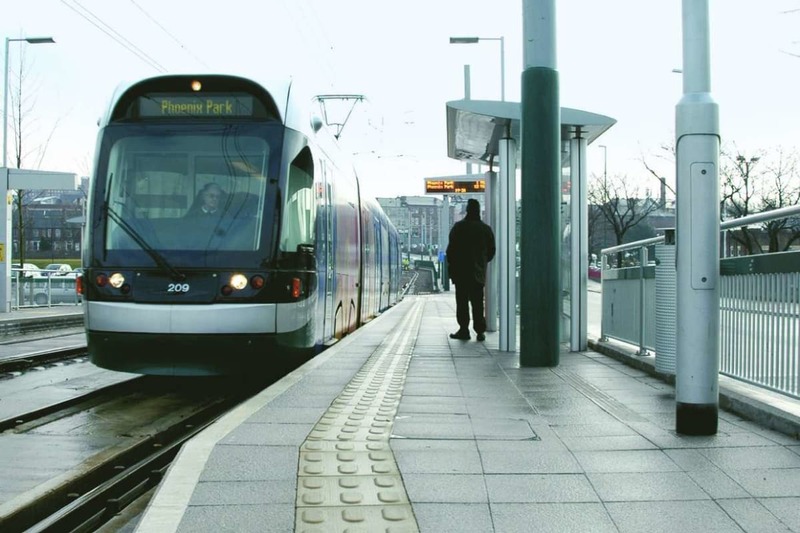 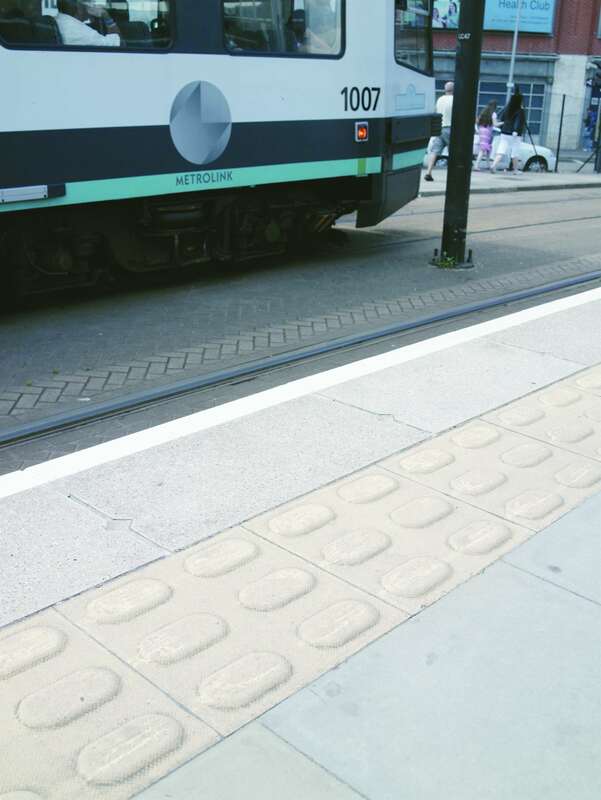 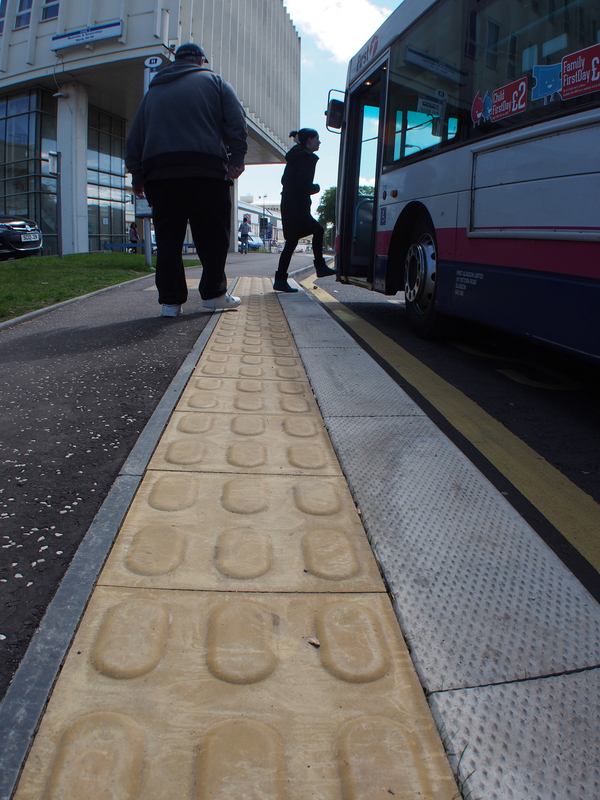 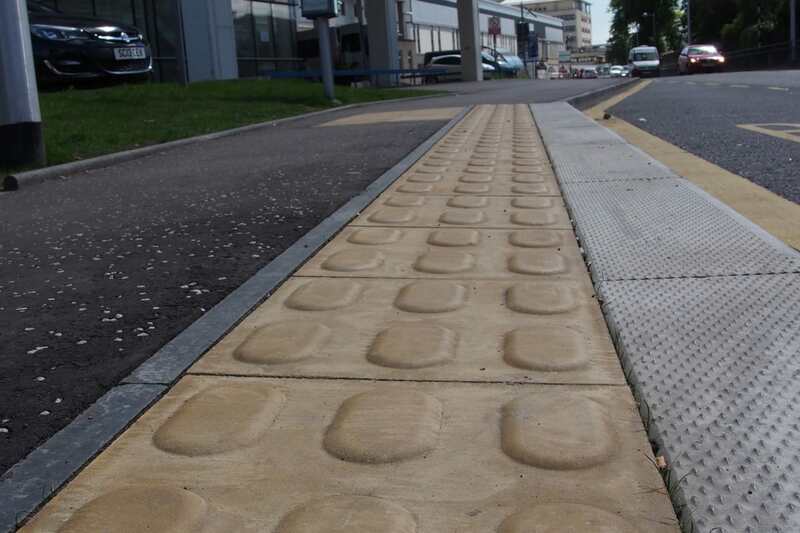 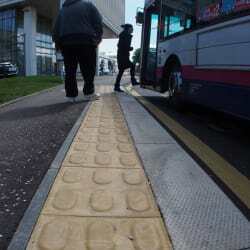 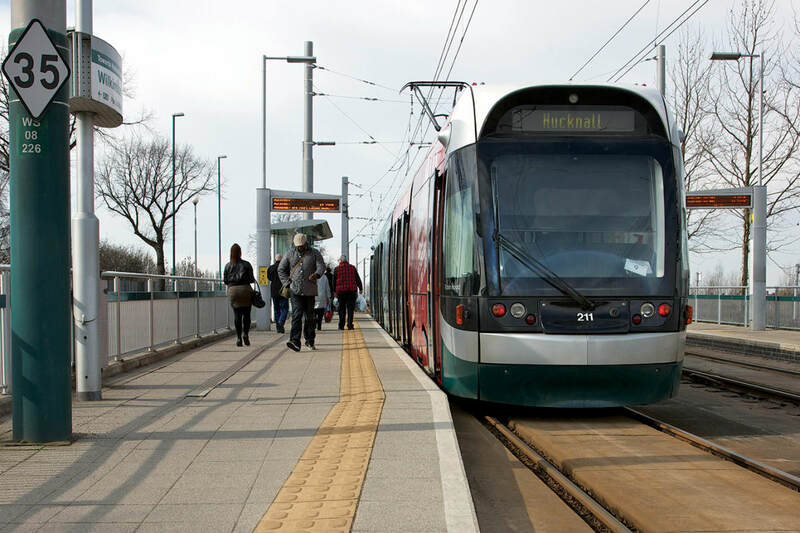 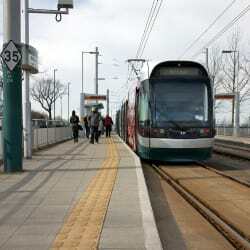 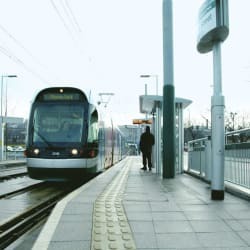 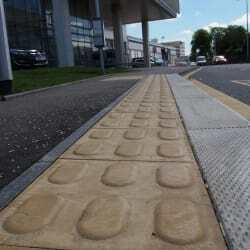 Created specifically to designate on-street platform edges, Marshalls Lozenge Tactile Flag Paving warns users of where Light Rapid Transport systems (LRT) and Supertram schemes’ platform edges begin. 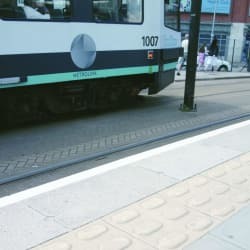 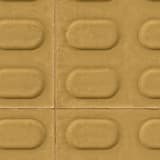 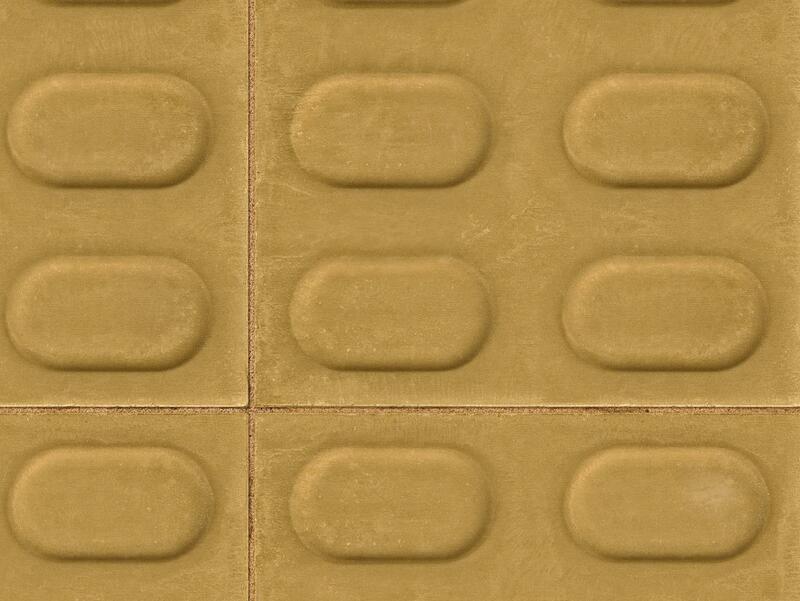 Manufactured in a pale Buff colour, the paving’s slightly raised surface contrasts in tone to surrounding surfaces in order to better aid those with visual impairments. 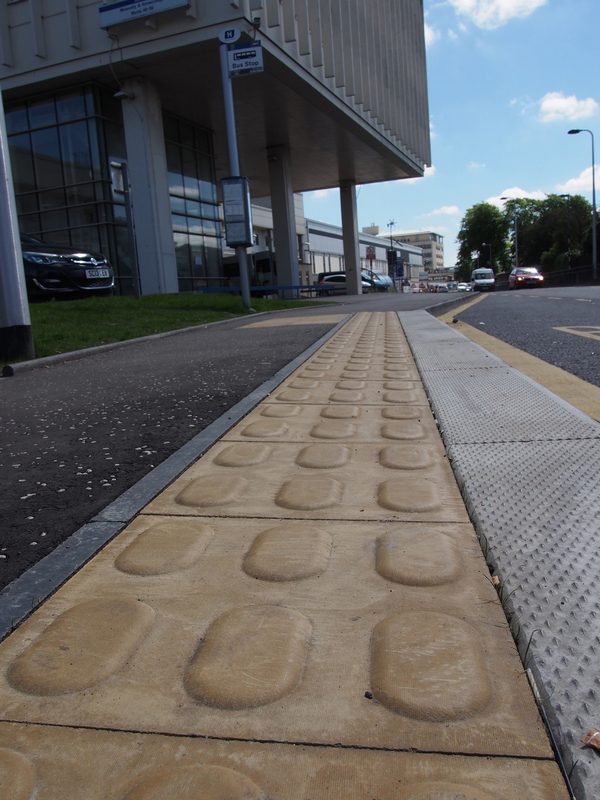 It is laid in a single strip of 400mm width with the lozenge pattern running parallel to platform edges. 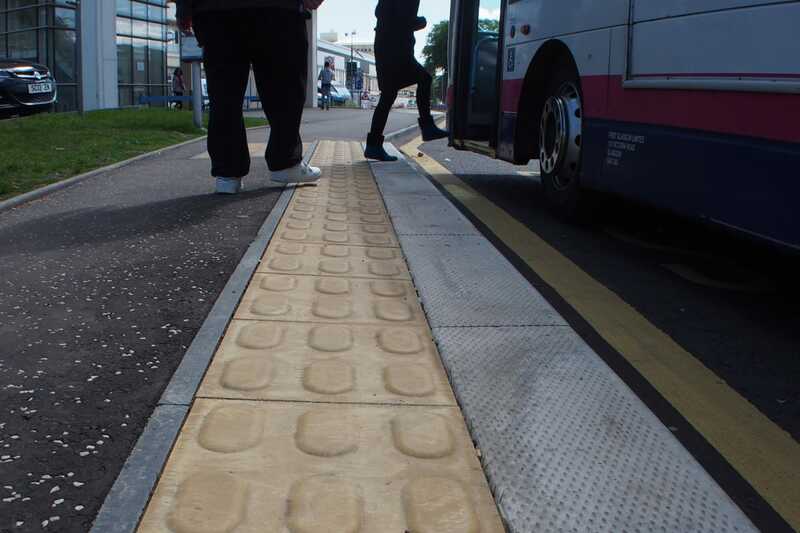 Marshalls Lozenge Tactile Flag Paving should be positioned no closer than 500mm to the edge of a platform. 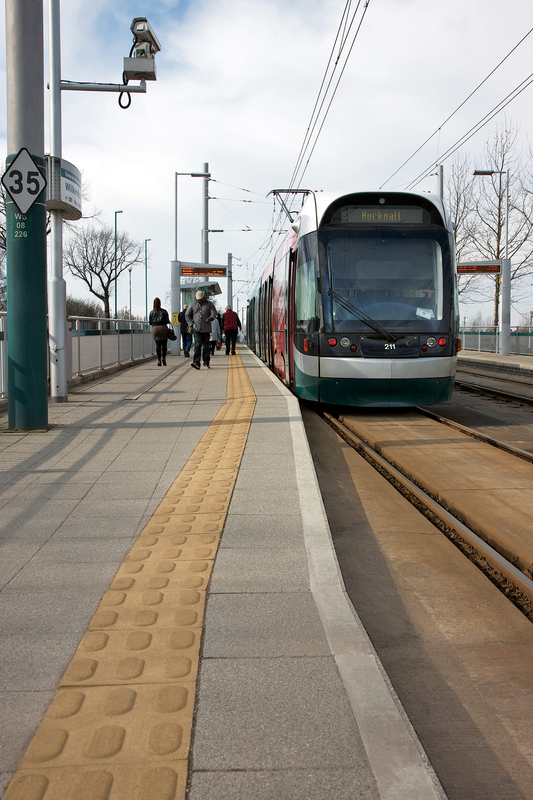 Laid in a single 400mm wide strip alongside platform edges.